A power system’s ability to perform at optimal levels is compromised when harmonic distortion enters the system. 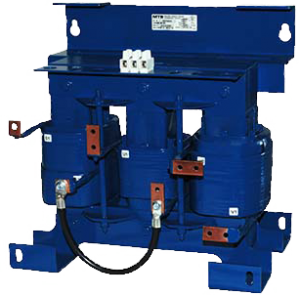 It creates inefficiencies in equipment operations due to the increased need for power consumption. The increase of overall current required creates higher installation and utility costs, heating, and decreasing profitability. and create distortion in the power system which can cause many problems. A power system can contain one or two different kinds of loads: linear and a non-linear. Linear Loads have a current waveform that is proportional to the amount of voltage applied. If the voltage doubles the current doubles as well, maintaining a near perfect sinewave, creating no harmonics. 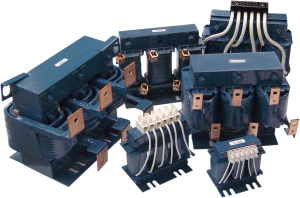 Examples of the types of linear loads are: incandescent lamps, heaters, and resistors. 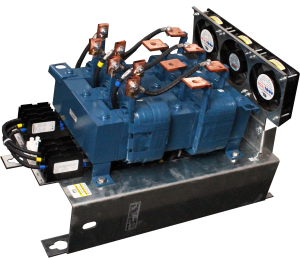 include: Variable Frequency Drives (VFDs), arc furnaces, and other uninterrupted power supplies. RL reactors are unequalled in absorbing power line disturbances. They are built to withstand even the most severe power spikes. They reduce nuisance tripping, reduce harmonic distortion and minimize long lead effects. 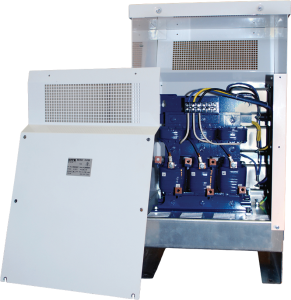 Matrix ONE single phase filters are optimized to work in remote and rural areas where three phase power is not available. Its patented design provides the harmonic mitigation you need to keep your equipment running longer. The Matrix AP is the most advanced filter on the market today.  It features patented Adaptive Passive Technology that allows it to perform like no other filter – virtually eliminating distortion. The Matrix AP can adapt to varying loads, allowing you to meet IEEE-519 standards. It’s the best in the industry.